Let’s face it – theres autum in a full. Days getting shorter, and the air getting colder – summer is gone. We send more and more time at our home. There are few excellent things about cool seasons – staing at hot and comfy home, catching up with books with a cup of hot coffie. 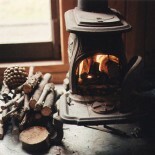 Therefore, theres nothing as good as fireplace. Just imagine yourself reading a good book or working on your computer in front of fireplace – felling cozy? I’ve felt too. A few years ago I was looking for fireplace and guess what? I haven’t found anything my cup of tea. Several weeks after that I meet my old classmate, we talked a while about our lifes, wifes and jobs. I found that my James is a constrution worker and make a chimneys and dedicated fireplaces. He also doing renovation old fireplaces in castles and churces. I asked him faintly if he could help me with bulding my fireplace, simply because I couldn’t found anything interesing. James agreed immediatley, two days ago he showed up at my home and we started build my custom fireplace. Our work has come as well that James asked me to work with him. And so we design and build a fireplaces together for four years. And we still looking for the newest inspirations! This entry was posted on October 3, 2013 by jbellamy1 in Fireplace and tagged fireplace.